This was a significant year for TechHive—largely because it was our first year as your source for technology news. We made our official debut on September 14 after a few months in beta form. We thought it might be a fun way to close out 2012 with a look at the stories that garnered the most reader interest in 2012. The articles below are the most-read stories from the past year, including ones we published during our beta period. You find the mix of mobile, camera, and Web news, reviews, and how-tos we hope to bring you in 2013 and beyond. Here’s a look back at the stories that caught your attention in 2012. You don’t need a backstage pass to find out how technology influences the concerts you enjoy. Mark Sullivan’s guide provides all the information you need. Here’s a way to go back to school without anyone ever bringing up your SAT scores. The next time someone quizzes you about the differences between the iPad, Galaxy Note, and Kindle Fire HD, point them toward Daniel Ionescu’s head-to-head-to-head comparison. As helpful as this smartphone comparison chart was, the headline didn’t exactly build suspense as to how well the iPhone 5 measured up to rival models. The waiting is sometimes the hardest part—though shortly after we posted this article, a developer successfully jailbroke an iPhone 5.
Who doesn’t enjoy a stroll down memory lane? Especially when that stroll takes you past the innards of a 40-year-old gaming console? We were duly impressed with Amazon’s sophomore effort in the tablet market. We assume if you read this article when it appeared in April, you downloaded the app and already know the reasons why. 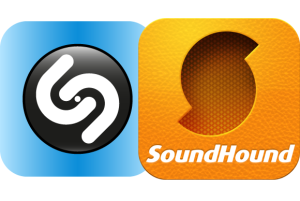 Two music ID apps enter, one leaves in Michael Gowan’s head-to-head battle. Lex Friedman’s first-hand experience can come in handy if you’re having iPhone charging woes. Android is the most widely used mobile platform, so it’s easy to see why readers might have an interest in protecting themselves from data loss. From cables to AirPlay, this how-to covered all the connection possibilities. We hope you went through the holiday shopping season armed with Tim Moynihan’s sound advice. Dan Frakes puts the Lightning to 30-pin Adapter to the test so that you don’t have to. This slideshow highlighted some old-timey social networks—your CompuServes, your Usenets, your Prodigys—so that you kids can see how good you have it today with your pokes and your retweets. It should be abundantly clear by now that we enjoy having apps fight it out for our affection. Another tablet from Amazon gets its moment in the spotlight. AT&T’s misfortune was your gain—provided you had a pay-as-you-go plan at some point in the past. 20. Stylus Shoot-Out: Which writing stylus will reign supreme? The first installment of Serenity Caldwell’s stylus showdown looked at how these tablet input devices fared with the written word.